SYNOPSIS: This is some harmless exploitation revolving around a group of ultralight, and CB loving, folks battling greedy businessmen and bikers. It all starts when oil is discovered in a small one-horse town. William Marshall plays it over-the-top as the schemer who wants the land for himself. He tasks crooked sheriff Aldo Ray with hiring sleazy bikers to terrorize the townsfolk. A popular local DJ, goofy Capt. 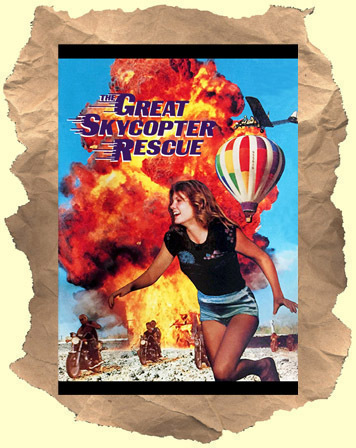 Jimmy Jet, finds out the plan and he enlists the help of all the groovy kids to attack the bad guys with their, hang gliders, mini-planes and the "skycopter". Lots of Dukes Of Hazzard style action and laughs in this regional rarity.